This package is part of my commentary on Romeo and Juliet. 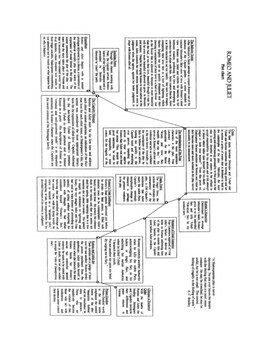 The download contains two graphs: one an overview of the structure and components of a Shakespearean tragedy; and the other an overview of Romeo and Juliet showing how Shakespeare uses these dramatic components to serve his specific purposes. 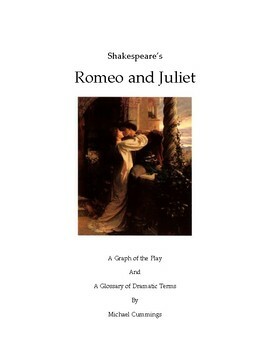 Also included is a glossary of dramatic terms with reference to Romeo and Juliet as well as several other Shakespearean plays by way of illustration. 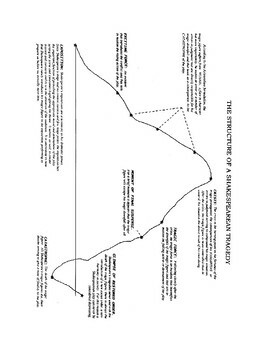 Students can make make their own graphs working either as individuals or as a part of a group, the teacher giving a list and description of these dramatic elements and the students applying these elements or components to their own graph of Romeo and Juliet. The exercise should take approximately one hour. I hope that students will gain a greater insight and appreciation of Shakespearean tragedy as a result of the exercise. 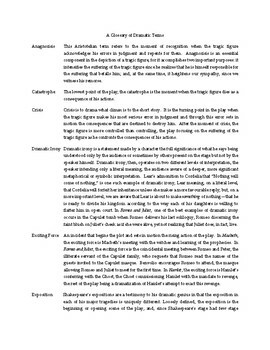 It should be a useful tool for future study of Shakespeare's tragedies.M. CummingsRomeo and Juliet: A Graph of the Play by Michael Cummings is licensed under a Creative Commons Attribution 3.0 Unported License.